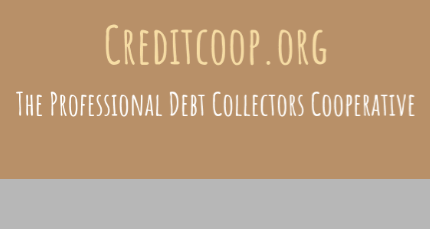 To use www.creditcoop.org You must be at least 18 years or older to use/register as a member of the Professional Debt Collectors Cooperative. Access or use of our website, services or products by any person under the age of 18 is strictly prohibited. Membership of the Professional Debt Collectors Cooperative, is void where prohibited. By registering as a member of Professional Debt Collectors Cooperative You represent and warrant that You are 18 years of age or older. We do not accept any responsibility or liability for any content, communication or other forms of use of this site if you find any of our content, affiliate content, member content, advertisers or sponsored content offensive. To become a member You must register online and You will be required to provide the Professional Debt Collectors Cooperative with information pertinent to the registration process. In addition, You may choose to provide Professional Debt Collectors Cooperative with additional information as requested. When You register to become a member You agree to provide accurate and complete information as requested in the registration process. Your registration information will be maintained and allow You to update the information at any time. Upon completion of the registration process, You agree that the registration information is accurate and complete. You acknowledge that We reserve the right to terminate Your membership at any time if You provide false, inaccurate, incomplete information. Please keep Your information current and as accurate as possible at all times. We use non-identifying and aggregate information to better design Our website and to share it with sponsors, contributors and advertisers. For example, we may tell an advertiser that X number of individuals visited a certain area on Our website, or that Y number of people from country Z filled out Our registration form, but we would not disclose anything that could be used to identify those individuals. Professional Debt Collectors Cooperative reserves the right to offer third party services and products to You based on the preferences that You identify during the registration process and based on Your subsequent preferences. Your Membership is effective following the membership enrollment date under the membership plan. 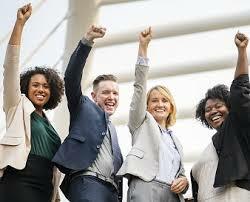 The Agreement of the membership will remain in full force and effective while You use the Professional Debt Collectors Cooperative’s protected content accessed by members only..
PDCC provides its service to Our members for an monthly fee based on the current pricing schedule, which You agree to pay in advance. These dues include a set dollar amount dedicated to third-party processing administration, and are unrelated to the Professional Debt Collectors Cooperative membership itself. Professional Debt Collectors Cooperative reserves the right to change Our fees and billing methods at any time and upon emailing all members 30 days prior to any proposed change. Professional Debt Collectors reserves the option to adjust actual billing days to the nearest business day. Non-receipt of any such email notice by a member shall not constitute grounds for any member to claim that no notice was given. Professional Debt Collectors Cooperative will make every effort to communicate its intentions with all members. If you do not agree to the proposed changes in fees or billing methods, You may cancel Your membership at any time. No portion of Professional Debt Collectors Cooperative membership fee is refundable. Even if account is cancelled, PDCC will not refund any remaining portion of the membership fee. PDCC has the right to collect applicable taxes and impose premium surcharges for some areas of service. PDCC will provide notices that such content is made available for a premium charge before allowing entry and PDCC will usually but not always secure such content by a separate Username and Password to prevent unauthorized access via Your account(s). creditcoop.org accepts the following forms of payment: by VISA, MasterCard, American Express or Discover; either credit or check debit; PDCC reserves the right to invoice customers for payment. creditcoop.org may also add additional approved payment methods at a later date. We appreciate and require that You pay Your account balance in full and on-time. Since the Professional Debt Collectors Cooperative auto-bills all accounts in advance, PDCC reserves the right to suspend the account for non-payment. In the event of a credit card/ debit card denial, creditcoop.org will automatically forward an email to Your account to inform you of the problem. It will be Your responsibility to rectify the issue. If You do not correct the issue and make new payment arrangements, Your account will be subject to cancellation. You are responsible and liable for any fees, including attorney and collection fees, that we may incur in its efforts to collect any remaining outstanding balances by You. You also agree that You will be billed for and will pay any outstanding balances if You cancel your membership or are terminated. You should let us know about any billing problems or discrepancies within thirty  days after they first appear on Your account statement. If You do not bring them to our attention within 30 days, You agree that You waive Your right to dispute such problems or discrepancies. You are enrolling in Our program and You will be entitled to access all the benefits available to members. Your membership is subject to membership dues collected annually. As a Member, You are entitled to discounts and/or other benefits on certain products and services offered by participating vendors. Some of the Benefits may not be available in your area. We may automatically re-bill your membership once it comes to an end. Within 30 days of your membership ending a notice will be sent out via email and on your homepage will be a link to renew. If you choose to renew your membership will be extended for one more year. If you let your membership lapse you can renew it at anytime simply by logging back into PDCC with your credentials and your membership will be extended for one year from the point of sign-up. We reserve the right to change fees, surcharges or to institute new fees at any time upon thirty (30) days prior notice, as provided for in these TOS. You may cancel Your subscription at anytime: Simply email Us from Your email address on file at rturner@creditcoop.org with Your Full Name, Business Name, Address, Phone Number, Membership Type and Chapter (if applicable). the Professional Debt Collectors Cooperative will never sell, rent, or otherwise use the contact information of former members. You understand that this purchase will appear on Your credit card statement under the name Professional Debt Collectors Cooperative and that should You have any problems with this order, You can contact us at rturner@creditcoop.org for a prompt resolution. Note: Professional Debt Collectors Cooperative’s membership fees are non-refundable and will not offer refunds for its membership services if already billed. You may however cancel at anytime. All charges for services will be automatically charged to Your credit card or bank card that You specified upon enrollment. In the event that we discover that services were provided but not billed, PDCC shall have the right to charge such fees at any time after such discovery. Any form of payment that You submit or provided with membership can be charged for services rendered by PDCC, it’s members or affiliates. If any form of payment You supply is noncollectable for any reason, Professional Debt Collectors Cooperative will notify You via email prompting You to change Your applicable payment options. Your membership may be cancelled at any time upon receipt of written notice of cancellation (refer above). You agree not to initiate any charge back request of any fees paid to the Professional Debt Collectors Cooperative by credit card, and that instead, any dispute between us about charges to Your account will be resolved by written communication between us, and if not so resolved to Your satisfaction, by arbitration. You will not initiate a charge back request by fraudulently reporting that _Professional Debt Collectors Cooperative processed an unauthorized charge on Your credit card, if, pursuant to this agreement, the charge has been authorized by You or anyone under Your authority. Membership dues collected by the Professional Debt Collectors Cooperative are non-refundable. We do not offer refunds for its membership services if already billed. You may however cancel at anytime and You will no longer be billed by Professional Debt Collectors Cooperative or its partner or parent company. No other refunds will be offered. In the event that Your account is terminated or canceled for any reason, NO REFUNDS, INCLUDING ANY MEMBERSHIP FEES, WILL BE GRANTED; again, this is important: NO REFUNDS, INCLUDING ANY MEMBERSHIP FEES, WILL BE GRANTED; no online time, rebates or other credits will be credited to You or can be converted to cash or other form of reimbursement. Your membership is only for Your sole and personal use. Other individuals are not permitted to use this Service using Your membership information. Access by other individuals will violate the membership and can result in termination of membership. If You are signed up as multiple members of creditcoop.org, each membership will be charged and treated as unique and separate accounts. Your Membership is non-transferable. You agree that only You may use the Membership. You will promptly notify us if You become aware of any unauthorized use of Your Membership number/information. You are responsible for maintaining the confidentiality of Your information and password. You shall be responsible for all uses of Your registration, whether or not authorized by You. Again, You agree to immediately notify creditcoop.org of any unauthorized use of Your registration or password. We reserve the right to change or modify the terms of service at any time and Your continued use of this Site will be conditioned upon the terms of service in force at the time of Your use. In order to permit Us to protect the quality of Our site and services, You hereby consent to Our employees being able to access Your account and records as necessary to investigate complaints and other allegations or abuse. We shall not disclose the existence or occurrence of such an investigation unless required to by law. Our web site may include links to other Internet sites maintained by third parties ("Affiliates Members and Sponsors of the PDCC"). We provide You access solely as a convenience to You. We have no control over Member, affiliate and sponsor Sites. You acknowledge and agree that We are not responsible for the availability of Member, Affiliate and Sponsor Sites and You agree and understand that inclusion of such does not imply Our endorsement of the Member, Affiliate, or Sponsor Sites or any content, advertising, products or other material available from such sites. You further agree that We shall not be held responsible or liable, directly or indirectly, for any damage or loss caused by or in connection with the use of or reliance on any such content, goods, or services available on or through any Member, Affiliate or Sponsor Sites. The terms of service constitute an agreement that is effective unless and until terminated by Us. If You fail to comply with any term or provision of this Agreement, You agree that We, in Our sole discretion, may terminate Your access to Our Site and/or Your membership. A Public Area ("Public Area") of the Site is any area where You may submit material ("Submissions") for viewing by others or view Submissions of other PDCC users, such as an upload/download section, profiles, forums, business directory, member reviews or award programs. In some of these areas, a Submission includes the name, ID, nickname, and/or other information that would be displayed with the submitted material, as applicable. You agree to use Public Areas in accordance with the Agreement and any policies for the Public Areas that are displayed on the Site. BY SUBMITTING MATERIAL TO A PUBLIC AREA, YOU AGREE TO INDEMNIFY PROFESSIONAL DEBT COLLECTORS COOPERATIVE AND HOLD IT HARMLESS FROM ALL CLAIMS, INCLUDING, WITHOUT LIMITATION, CLAIMS FOR LIBEL, SLANDER, INVASION OF PRIVACY, COPYRIGHT INFRINGEMENT OR OTHERWISE, ARISING FROM SUCH SUBMISSION. By making a Submission to any Public Area, You automatically grant PDCC the royalty-free, perpetual, irrevocable, nonexclusive right and license to use, reproduce, modify, adapt, publish, translate, publicly perform and display and distribute the content of the Submission (in whole or in part) worldwide and/or to incorporate it in other works in any form, media, or technology now known or hereafter developed. You also permit any other user of the PDCC Site to access, view, store, or reproduce the Submission for that user's personal use. If at Our request You send content (e.g., postings to chat, boards, or contests) or You send us creative suggestions, reviews, ideas, notes, drawings, or other Submissions, such Submissions shall be deemed, and shall remain, the property of the Professional Debt Collectors Cooperative. None of the Submissions shall be subject to any obligation of confidence on the part of creditcoop.org , we shall not be liable for any use or disclosure of any Submissions. Without limitation of the foregoing, we shall exclusively own all now known or hereafter existing rights to the Submissions of every kind and nature throughout the universe and shall be entitled to unrestricted use of the Submissions for any purpose whatsoever, commercial or otherwise, without compensation to the provider of the Submissions. You alone are responsible for the content of Your messages, and any consequences of such messages. Creditcoop.org reserves the right to terminate Your membership if it becomes aware and determines, in its sole discretion, that You are violating any of the following guidelines. Any use by You of any other subscriber's information, personal or otherwise, for any purpose, commercial or otherwise, or to obtain direct financial gain (e.g. mass marketing) is prohibited. Any such use shall be deemed to be a violation of these Terms of Service. creditcoop.org is to be used by You for Your personal use only. Commercial uses are strictly prohibited unless prior written consent from pddccooperative.com has been granted. You agree that You will not use pdccooperative.com or its sub domains for chain letters, research study or survey solicitations, junk mail, "spamming," commercial or non-commercial solicitations, bulk communications or unauthorized member information “harvesting” of any kind, including but not limited to distribution lists to any person who has not given specific permission to be included in such list. You further agree not to use creditcoop.org to send or post on message boards or any place within our website, any message or material of any kind or nature that is unlawful, harassing, libelous, defamatory, abusive, threatening, harmful, vulgar, obscene, profane, sexually oriented (unless within the scope of the topic area of a message board as determined by creditcoop.org in its sole discretion), racially offensive, inaccurate, or otherwise objectionable material or that encourages conduct that could constitute a criminal offense, give rise to civil liability or otherwise violate any applicable local, state, national or international law or regulation, or encourage the use of controlled substances. For purposes of the immediately preceding sentence, "masked" vulgarity, obscenity or profanity (e.g. "f*ck") is deemed to be equivalent to including the actual objectionable word, phrase or symbol in Your post, message or otherwise on creditcoop.org we reserve the right to delete any such material from creditcoop.org. Professional Debt Collectors Cooperative will cooperate fully with any law enforcement officials and/or agencies in the investigation of any person or persons who violate the Terms of Service contained in this Section. You agree not to impersonate any other person or entity, whether actual or fictitious, including impersonating an employee or consultant of pdccooperative.com. You further agree not to use an inappropriate member name of any kind. You agree not to post or use pdccooperative.com to distribute or send any illegal material of any kind, including but not limited to, illegal material in the form of text, graphics, video, programs or audio. You agree not to a ttach, upload or transmit any content to pdccooperative.com that infringes the patent, trademark, trade secret, copyright, or other proprietary rights of any party. You agree not to attach, upload or transmit any content to pdccooperative.com that contains viruses, Trojan horses, time bombs, worms, cancelbots or other computer programming routines that are intended to damage or interfere with the operation of any system, data, or personal information. Posting content or participating in any form of discussion with the intention to commit any illegal activity is strictly prohibited. You acknowledge that (i) Professional Debt Collectors Cooperative permits access to content that is protected by copyrights, trademarks and other intellectual and proprietary rights ("Rights"); (ii) these Rights are valid and protected in all media and technologies existing now or later developed; and (iii) except as explicitly provided otherwise, the Terms of Service and applicable copyright, trademark and other laws govern Your use of such content. You may not post to pdccooperative.com, copy, reproduce, retransmit, distribute, publish, commercially exploit or otherwise transfer any material subject to any Rights. The burden of determining that any information, software, images or any other content on pdccooperative.com is not protected by Rights rests with You. You acknowledge that we may acquire Rights to use any posted materials as described below, and that You will not acquire any of those Rights by downloading such materials. ANYTHING CONTAINED HEREIN TO THE CONTRARY NOTWITHSTANDING, BY SUBMITTING CONTENT TO ANY MESSAGE BOARDS, CHATS, EXPERT AREAS, QUESTION AND ANSWER FORUMS, UPLOAD/DOWNLOAD AREAS, REVIEWS, SWEEPSTAKES, CONTESTS OR ANY OTHER AREA ON pdccooperative.com, YOU HEREBY EXPRESSLY PERMIT pdccooperative.com TO IDENTIFY YOU AS THE CONTRIBUTOR OF SUCH CONTENT IN ANY PUBLICATION IN ANY FORM, MEDIA OR TECHNOLOGY NOW KNOWN OR LATER DEVELOPED IN CONNECTION WITH THE CONTENT, UNLESS YOU OTHERWISE NOTIFY PROFESSIONAL DEBT COLLECTORS COOPERATIVE’S LEGAL DEPARTMENT IN WRITING AT THE TIME YOU SUBMIT THE CONTENT THAT YOU DO NOT WISH TO BE IDENTIFIED. PDCC has a zero-tolerance policy against unsolicited bulk email or SPAM. Spam is when You send scores, hundreds or even hundreds of thousands of emails all at once to other email boxes for commercial or other solicitation purposes. Professional Debt Collectors Cooperative may commence legal action against spamming user. Unsolicited bulk email is strictly prohibited. You may NOT use our or any other online business directory or any other online means to harvest or collect information, including usernames and email addresses, about our members or other Internet users. The use of such information for the purpose of sending unsolicited bulk email is strictly prohibited. This includes collection of names on a member web page or on message boards. You must also adhere to the Professional Debt Collectors Cooperative’s Privacy Policies. Chain letters and pyramid schemes are not allowed. Many such activities are illegal. Even those that aren't illegal are annoying to most people and tie up online resources, so We don't allow them. Chain email which claims You will receive some benefit or gift or experience some misfortune if You do/don't forward it to X-number of friends is fraudulent and strictly prohibited. You may place advertisements only in areas designated for that purpose. Unsolicited advertising is not allowed. This includes the sending of bulk email. You must have permission from PDCC and/or the person to whom You are sending the ad. Spam is very annoying to receive. If You receive any junk email that could purportedly be tied or linked to Your membership with the Professional Debt Collectors Cooperative report it to info@pdccooperative.com at once. Simply hit the forward button on Your email program, in the Send To box type in ABUSE and hit "send" button. It is imperative the offending email be included within the body or sent as an attachment. Upon receipt, we'll take it from there. We also reserves the right to take any and all legal and technical remedies to prevent unsolicited bulk email from entering, utilizing or remaining within the PDCC network. We enjoy hearing from you and welcome your comments about our products and services (see our Contact Us section for ways to communicate with us). However, if you send us a business idea or suggestion--for example, about how to improve or expand our products and services--you agree that PDCC and its affiliates will be completely free to implement, use or modify, in any way, your idea or suggestion (or any part of it), without any payment or other obligation to you. You acknowledge that Our Site contains information, software, photos, video, text, graphics, music, sounds or other material (collectively, "content") that are protected by copyrights, patents, trademarks, trade secrets, or other proprietary rights, and that these rights are valid and protect in all forms, media and technologies existing now or hereafter developed. Except for material in the public domain (“Public Areas”), all content is copyrighted under U.S. copyright laws. The Professional Debt Collectors Cooperative’s name and logo are trademarks Professional Debt Collectors Cooperative. All other trademarks appearing on the Site are the trademarks of their respective owners. You may not modify, publish, transmit, participate in the transfer or sale, create derivative works, or in any way exploit any of the Content in whole or in part. Professional Debt Collectors Cooperative respects the intellectual property rights of others. Pursuant to Title 17 U.S.C.512, as amended by Title II of the Digital Millennium Copyright Act ("the Act"), PDCC has implemented procedures for receiving written notification of claimed copyright infringements and for processing such claims in accordance with the Act. If You believe Your copyrights are being infringed by a Member, please contact us at rturner@creditcoop.org. Material in appropriate circumstances will be removed from the site promptly. This does not include wholly or in part any information located under the sections classified as “Public” Areas. Please note that PDCC will terminate in appropriate circumstances the account of any Member who repeatedly posts infringing material on the Site, “public” or otherwise. WE MAKE NO WARRANTIES, EXPRESSED OR IMPLIED, INCLUDING THE WARRANTY OF MERCHANTABILITY FOR A PARTICULAR PURPOSE, WITH RESPECT TO ANY OF THE BENEFITS OR RELATED INFORMATION PROVIDED TO YOU. WE RESERVE THE RIGHT TO ELIMINATE, ADD, CHANGE AND SUBSTITUTE BENEFITS AND PARTICIPATING VENDORS WITHOUT NOTICE TO YOU. WE ASSUME NO RESPONSIBILITY FOR THE PAYMENT OF OR CONTRIBUTION TO ANY USE OR SALES TAX ON THE BENEFITS WHICH MAY BE IMPOSED BY TAXING AUTHORITIES AND SUCH TAXES, TO THE EXTENT IMPOSED, SHALL REMAIN YOUR SOLE RESPONSIBILITY OR THAT OF THE PROVIDER OF THE BENEFITS, AS THE CASE MAY BE. WITHOUT LIMITATION, WE MAKE NO WARRANTY THAT (i) THE SERVICE WILL MEET YOUR REQUIREMENTS; (ii) THE SERVICE WILL BE UNINTERRUPTED, TIMELY, SECURE OR ERROR-FREE; (iii) THE RESULTS OBTAINED FROM USE OF THE SERVICE WILL BE ACCURATE OR RELIABLE; (iv) THE QUALITY OF ANY PRODUCTS, SERVICES, INFORMATION, OR OTHER MATERIAL OBTAINED THROUGH OUR SERVICE WILL MEET YOUR EXPECTATIONS; AND (v) ANY ERRORS IN THE SOFTWARE WILL BE CORRECTED. NO ADVICE OR INFORMATION OBTAINED BY YOU FROM OUR PERSONNEL OR THROUGH OUR SERVICE SHALL CREATE ANY WARRANTY NOT EXPRESSLY PROVIDED FOR IN THE TERMS OF SERVICE. THE USE OR INABILITY TO USE THE SERVICE. THE COST OF PROCUREMENT OF SUBSTITUTE GOODS AND SERVICES RESULTING FROM ANY GOODS, DATA, INFORMATION OR SERVICES PURCHASED OR OBTAINED, OR MESSAGES RECEIVED, OR TRANSACTIONS ENTERED INTO THROUGH OR FROM THE SERVICE. IN ORDER TO USE THIS SITE, YOU MUST HAVE ACCESS TO THE WORLD WIDE WEB, EITHER DIRECTLY OR THROUGH DEVICES THAT ACCESS WEB-BASED CONTENT. IN ADDITION, YOU MUST PROVIDE ALL EQUIPMENT NECESSARY TO MAKE SUCH CONNECTION TO THE WORLD WIDE WEB, INCLUDING A COMPUTER AND MODEM OR OTHER ACCESS DEVICE. YOU ARE SOLELY RESPONSIBLE FOR ALL CHARGES ASSOCIATED WITH CONNECTING TO THIS WEB SITE THROUGH AN AVAILABLE ACCESS NUMBER. In the event that PDCC determines, in its sole discretion, that You have breached any portion of these Terms of Service, or have otherwise demonstrated conduct inappropriate for creditcoop.org, PDCC reserves the right to (i) warn You via email (to any email address You have provided to PDCC) that You have violated these Terms of Service; (ii) delete any or all content provided by You or Your agent(s) to creditcoop.org; (iii) discontinue Your registration(s) with PDCC and/or any other PDCC community; (iv) discontinue Your subscription to any digital product, product, course, event, content, tool or service purchased through via the PDCC network; (v) notify and/or send content to and/or fully cooperate with the proper law enforcement authorities for further action; and/or (vi) discontinue any/all PDCC membership and/or affiliation (vii) any other action which creditcoop.org deems to be appropriate. If Your registration(s) with or ability to access the PDCC Network, any other PDCC community and/or any other service, product, content, course, event, tool or digital product provided to You by creditcoop.org is discontinued by creditcoop.org due to Your violation of any portion of these Terms of Service or for conduct otherwise inappropriate for the community of the PDCC Network, then You agree that You shall not attempt to re-register with or access the creditcoop.org Network, any other PDCC community and/or any other digital product, course content or service provided by Professional Debt Collectors Cooperative, through use of a different member name or otherwise, and You acknowledge that You will not be entitled to receive a refund for fees related to those digital products, products, courses events or content and services to which Your access has been terminated. In the event that You violate the immediately preceding sentence, PDCC reserves the right, in its sole discretion, to immediately take any or all of the actions set forth in subsections (i), (ii), (iii), (iv), (v) and (vi) of this provision without any notice or warning to You. This Agreement contains all of the Terms of Service and no representations, inducements, promises or agreements concerning the Membership not included in this Agreement shall be effective or enforceable. If any of the terms of this Agreement shall become invalid or unenforceable, the remaining terms shall not be affected. This Agreement and the Terms of Service shall be governed and construed in accordance with the laws of the State of Florida without giving effect to the choice of law provisions thereof. Any dispute arising between You and Us will be resolved by submission to arbitration in Cook County, State of Illinois in accordance with the rules of the American Arbitration Association then in effect. Notwithstanding the foregoing, nothing in this Agreement is intended or shall be construed to negate or otherwise affect the consumer protection laws of the state in which You reside. To become a member of the Professional Debt Collectors Cooperative creditcoop.org., You must be at least 18 years or older. Membership is void where prohibited. We do not accept any responsibility or liability for any content, communication or other forms of use of this site. To become a member You must register online and You will be required to provide the Professional Debt Collectors Cooperative with information pertinent to the registration process. In addition, You may choose to provide with additional information as requested. When You register to become a member You agree to provide accurate and complete information as requested in the registration process. Your registration information will be maintained and allow You to update the information at any time. Upon completion of the registration process, You agree that the registration information is accurate and complete. You acknowledge that We reserve the right to terminate Your membership at any time if You provide false, inaccurate, incomplete information. Please keep Your information current and as accurate as possible at all times. Your Membership is effective for a period of twelve months following the membership enrollment date under the membership plan. The Agreement of the membership will remain in full force and effective while You use the Professional Debt Collectors website.